I am a mascara freak. Seriously. Let me explain why. I somehow inherited hooded lids. So when I don't wear mascara, as you can see below, my lashes are barely visible. Goodness, I wish I was one of those girls lucky enough to have amazing lashes. I cannot tell you how many $8 tubes of "fabulous" mascara I bought, always with the same crummy results. I know, right? Super frustrating! And then the most aaaaaamazing thing happened! 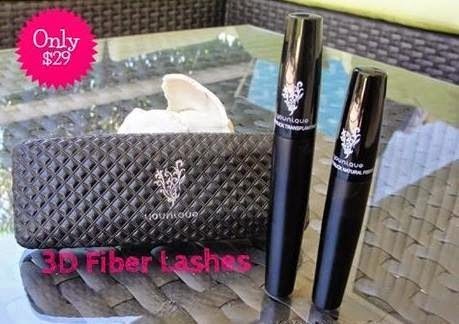 I kept seeing this "3d Fiber Lash Mascara" popping up on my newsfeed on FB. After seeing it so many times, I was super intrigued. I finally made the plunge and bought it. As soon as I received it and put it on my lashes, I was in love. I instantly booked a party! And before my party was even over, I signed on to become a Presenter. 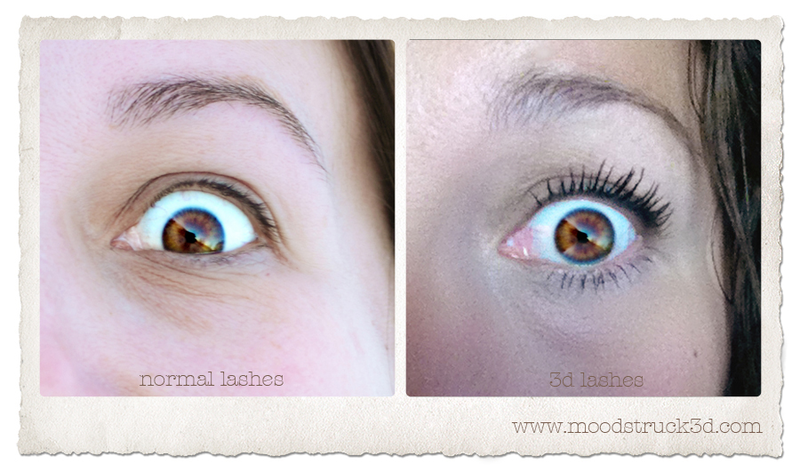 This is a picture of my own personal lashes, before and after the 3d Mascara. Is that the craziest thing you've ever saw? I know!!! Presentation is everything to me and when I saw the case (YES, CASE!!!) that this arrived in I was even more excited. I mean, this mascara is housed in a case that is nicer than the ones that hold my sunglasses! It is THE cutest case, for reals. This mascara is a two step process so inside the case are two tubes of product. One is the Transplanting Gel and the other is the Natural Fibers. When you pull out the fiber wand, it looks like a little puff ball. 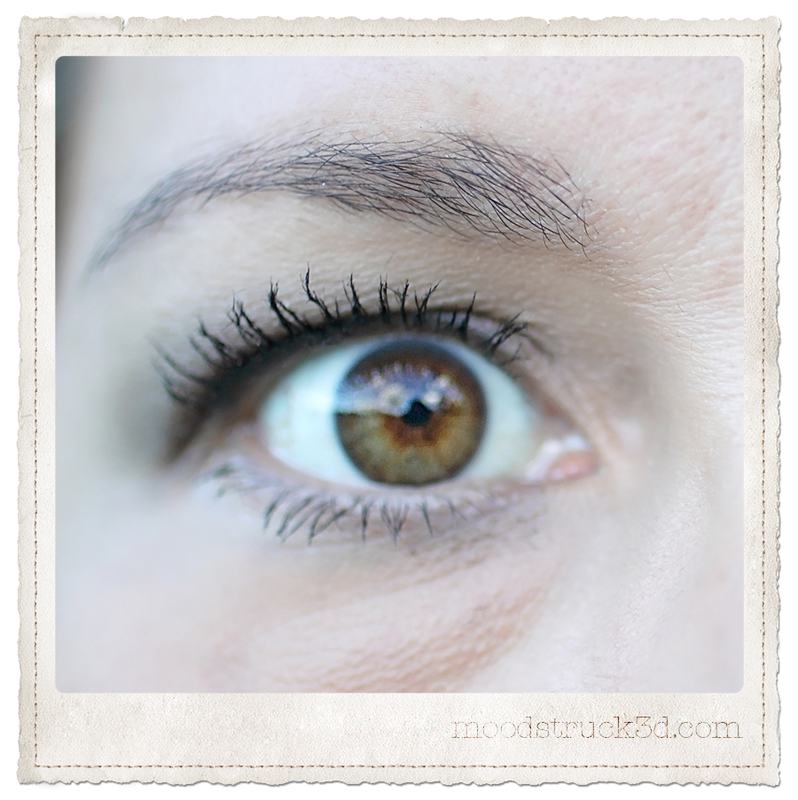 It is a hair-like substance that instantly adheres to your lashes. You can see the case and the tubes in the picture below. The mascara comes with instructions, so I was super stoked about that as well. The instructions were simple. You apply it gel, fibers, gel. You apply one coat of the Transplanting Gel and before it dries apply the Natural Fibers. Seal those fibers into place with another coat of the Transplanting Gel. The nice thing is you can just keep applying layers until your lashes are as long as you'd like them. 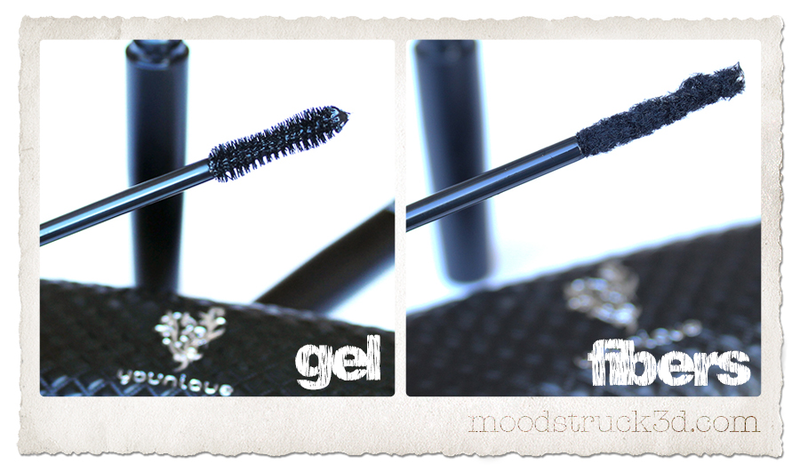 You can either apply it over your normal mascara or just on your naked lashes. I personally prefer just on naked lashes, but that's me. The final picture above gives a really good look at the actual fibers. You can see that they sort of piled up onto themselves and actually created something that is almost identical to a natural lash look, but LONG. You probably don’t need me to tell you this but it is AMAZING. Just look at the photos if you want the proof. Now for how to remove them...this is the awesome part...just your normal face wash and water. Or, as I use mostly, a makeup remover wipe. Here is a video I made of just how easy they are to apply. In this video I applied it over my normal mascara. I've since figured out that I like it much better on naked lashes. Intrigued and want to try it? Seriously, you will NOT regret it. Just visit my site at www.moodstruck3d.com and place your order. The shipping is super fast and within days you'll have long, fab lashes!